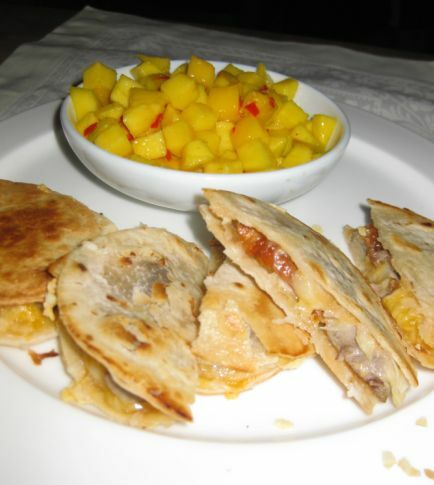 Quesadilla is a Mexican snack food made with tortilla, a flatbread made with corn or flour, filled with cheese and grilled or cooked until the cheese is melted. 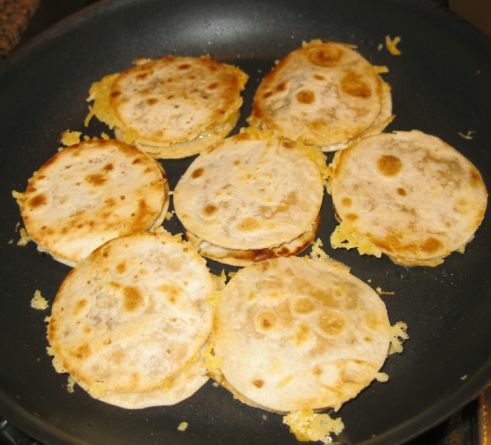 Tortilla means "little cheesy thing". 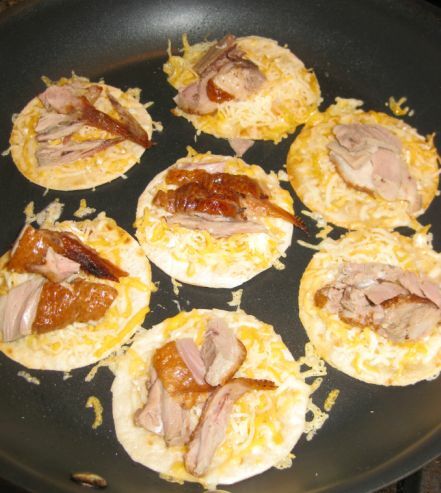 I made my Quesadillas a bit fancier but adding some left over roasted duck. 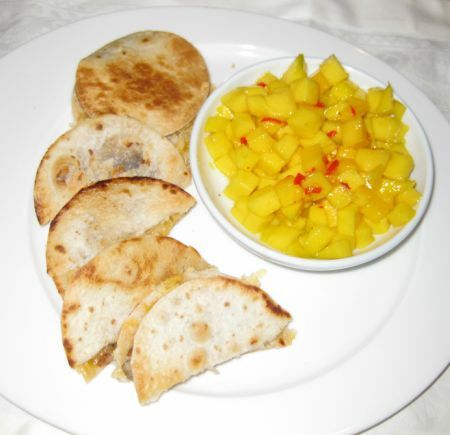 The Mexicans usually eat their Quesadillas with salsa but again I wanted to step up a notch by making a mango salsa. 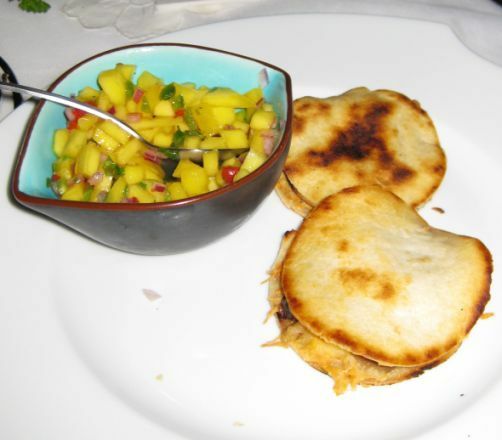 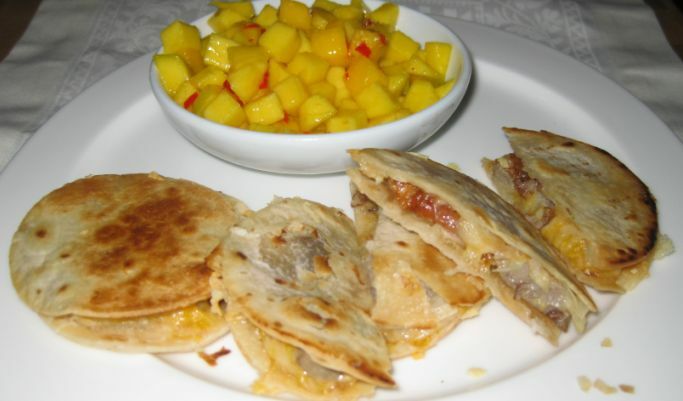 This is a really great snacks because the tortillas are crunchy, the cheese is oozing out and the roasted duck just added another layer of flavor and then when you add a scoop of mango salsa, it is just simply so delicious. 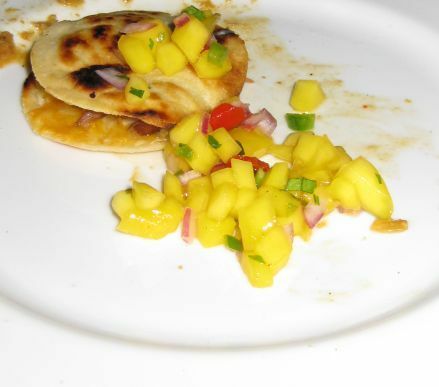 I made this dish a while ago at my Tapas party and everyone seems to enjoy it so I am creating it again tonight just for the 3 of us. 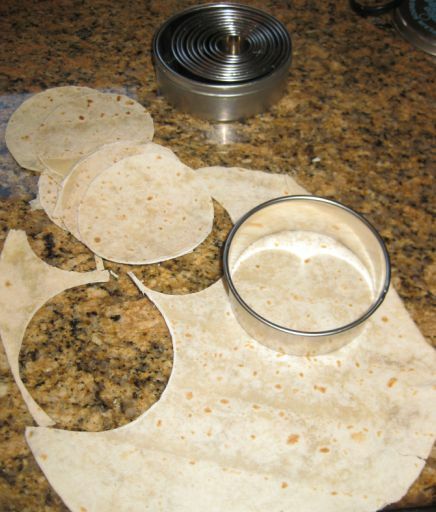 Since I wanted this dish to be an appetizer, I took a whole flour tortilla and cut them into small circular size so it is easier to eat with your hands. 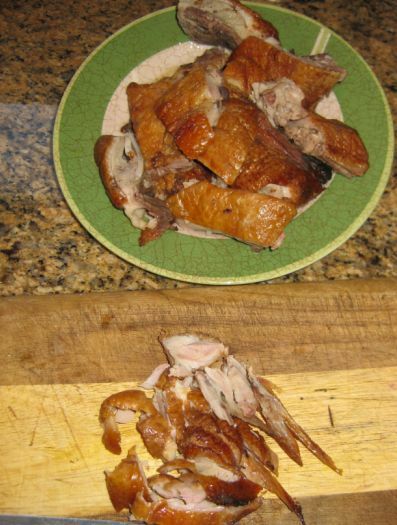 Cutting the leftover roasted duck into small slices. 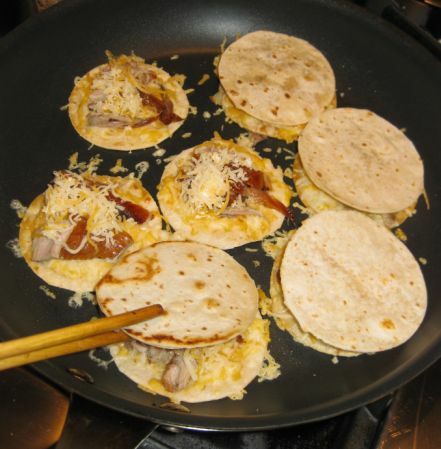 Once the tortillas are browned, I am adding cheese and then roasted duck. 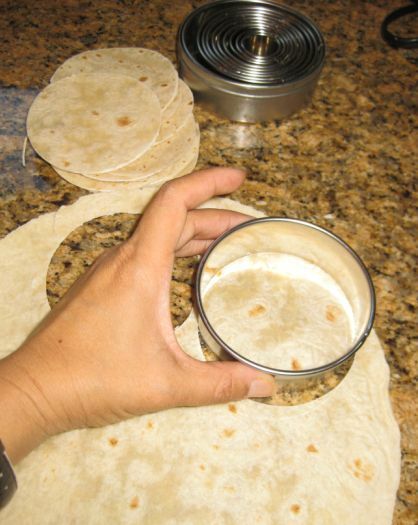 Adding another layer of tortillas on top. 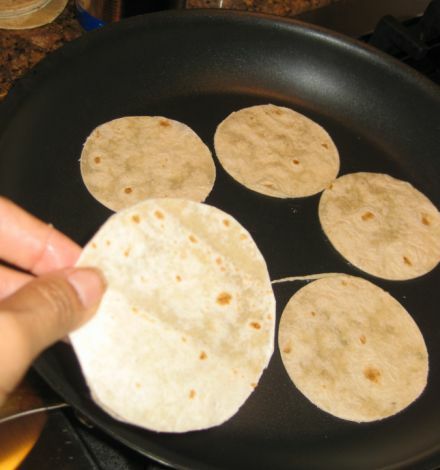 Make sure to turn the heat to low if not you will burn the tortillas before the cheese is melting.